Global Institute for Advanced Study at NYU sponsors working research groups on innovative and (typically) interdisciplinary topics that require cooperation on an international scale and a sustained multi-year focus. 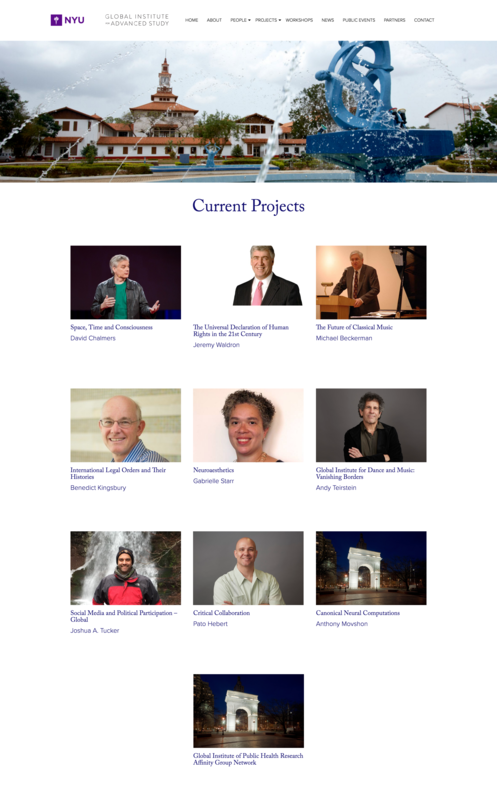 Social Ink and the Global Institute for Advanced Study at NYU worked together in 2016 to create a web presence for the university institution. 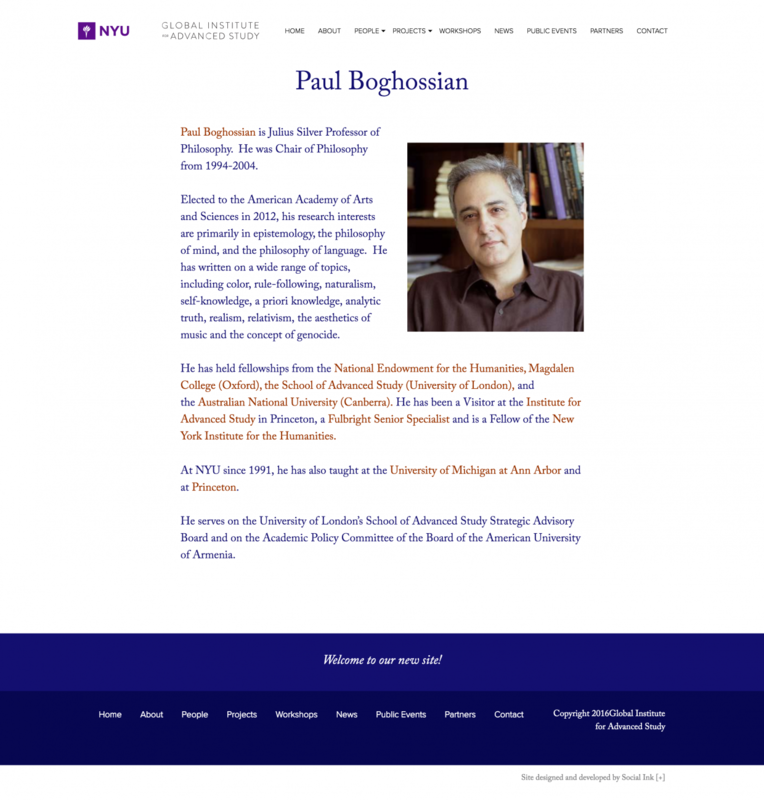 GIAS provides financial and academic support to working groups based in existing departments of NYU, led by an NYU faculty member. The new GIAS site utilizes an open-source, user-friendly WordPress CMS, providing a customized backend experience for no-code site administration and growth. Key features include an easy-to-update Current Projects template and mobile responsive design that adapts content for myriad screens sizes. We’re happy to have partnered with GIAS on this project that helps to support scholars and their research endeavors. 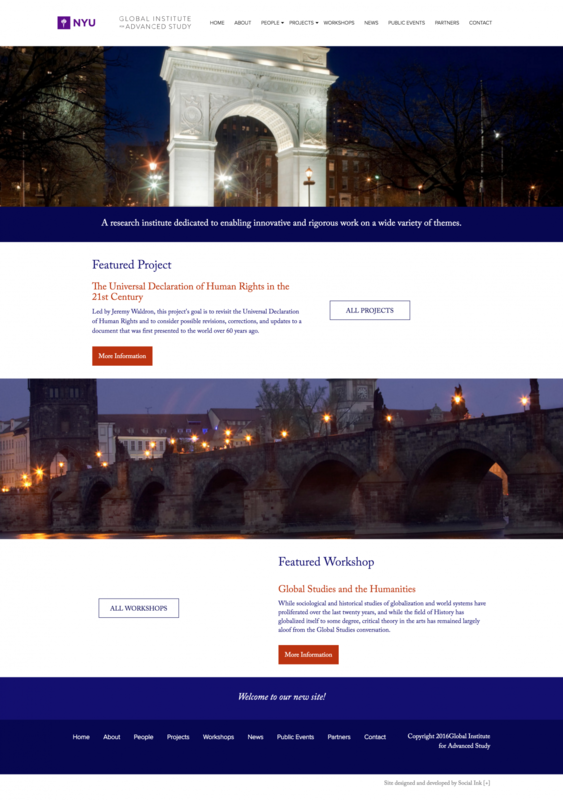 The design and development of the institute’s new site is a continuation of Social Ink’s work on websites for nonprofits and university organizations!